Resistor modules of the type MPR are designed for high loads and can be adapted to meet the individual requirements of our clients. 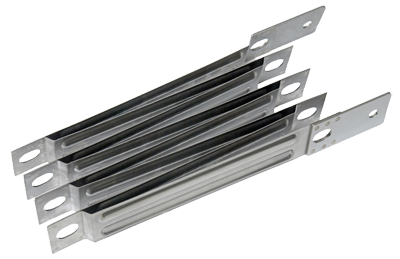 The resistor elements are manufactured by using selected stainless steel. For stabilisation and aerodynamic reasons the used resistor ribbons are die-cut in such a way that they by means of spot welding are stable strung together retaining their stabile meandering shape. Wärtsilä JOVYATLAS uses this type as rail resistors and compact load banks..